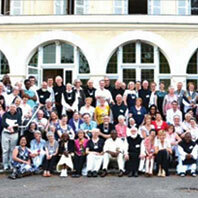 International Association of Lay Cistercian Communities – This site is for the use and benefit of the Lay Cistercian Communities around the world. 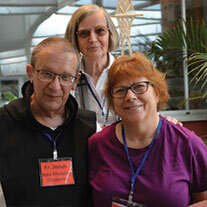 Welcome to the International Association of Lay Cistercian Communities. This site is for the use and benefit of the Lay Cistercian Communities around the world, the monasteries with which they are associated, and any person interested in learning more about the birth and development of this contemplative movement within the Cistercian Family. 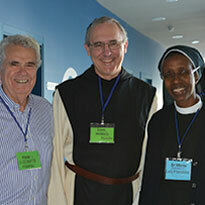 We believe the Cistercian Charism is a window through which monks and nuns and lay people interact with one another. Members of Lay Cistercian Communities around the world look in this window for guidance and support, and out this window to their Cistercian lives in the world. Like a window, the Cistercian Charism sheds light on both sides of the enclosure wall. 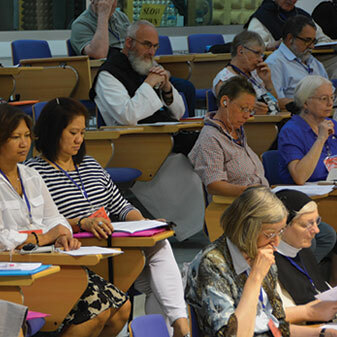 The 2020 International Encounter will be held 7 – 12 June 2020 at Benedictine University, Chicago, Illinois, USA. As individuals, we recognize a personal call that is experienced in community as a gift from God. We define it as a call to be an active witness of Christ and his Church in the midst of the world, providing a prayerful and contemplative testimony in a life defined by the values of the Cistercian charism. We are convinced that it is possible to adapt Cistercian spirituality to the lifestyle of a lay person though it is very clear that there are two different ways to live it, monastic and lay, and both are complementary. Lay people have found in Cistercian spirituality a way to live in the world with greater commitment and spiritual depth. We are unanimous in our belief that the Cistercian charism can be lived outside the monastery. For all the groups, it is the monastic community, represented by the Abbot (Abbess), that recognizes in them the charism and confers on them their membership in the Cistercian family, according to the nature of the bonds that unite them.